FOR ALL YOU COLLECTORS UP NORTH WHERE THE COLD WEATHER IS MOVING IN.....KEEP WARM ! WE ENJOYED OUR SHORT VACATION AND ARE READY TO TAKE YOUR ORDERS.....REMEMBER WE SHIP YEAR ROUND BY WATCHING WEATHER REPORTS AND AVOIDING COLD SPELLS IN YOUR LOCATION. MOST IMPROTANT NOW FOR ALL TO ENJOY THE HOLIDAY SEASON AND YOUR FAMILY. WE DO OFFER GIFT CERTIFICATES IF YOU WANT TO GIVE SOMETHING SPECIAL TO AS FRIEND. VERY IMPORTANT.....ALL CHECKS OR MONEY ORDERS MUST BE MADE OUT TO BOB SMOLEY.....WE CAN NO LONGER ACCEPT ANY CHECKS MADE OUT TO GARDENWORLD OR BOB SMOLEY'S GARDENWORLD. 30 NEW NEWLY OFFERED EPIPHYLLUM "ORCHID CACTUS" NOW ON LINE AS OF AUG 10, 2015....SOME ARE LIMITED ! Orders under $20.00 will not be accepted. Minimum shipping / packing is now $12.00 and as much as $35.00.... a general guide line will be up to $75.00...shipping $12.00, up to $100.00...shipping $20.00, up to $150.00...shipping $30.00 and up to $200.00.....shipping $40.00.....these prices are only estimates....you will be billed for more or less acording to the actual order....extra heavy parcels or over sized parcels will require additional shipping and orders traveling long distances might require extra shipping charges.....I do not want to make any money on shipping but I certainly will not loose on shipping....I trust all will be understanding. The shopping cart order form will most likely calculate more shipping than you will actually pay....the actual shipping will be reflected on your conformation that will come by snail mail. I hope this not too confusing. I SHIP ONLY ONE WAY....US PRIORITY MAIL. We have found this is the most reliable and quickest. Orders within Florida add 6% state and local sales tax. I can ship worldwide. For orders outside the US please send list and a proforma invoice will be returned. If there is no notation in the description of the plant as to he size of the plant the plant will be for a 2-3 inch pot size. At times you will get a larger plant so consider this a bonus. At other times you will receive a smaller plant (very rarely) and you will be compensated by another plant on your order being oversized. 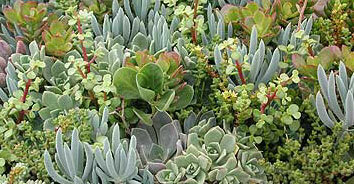 There are also a few plants that are miniature in nature and that are sent as small plants. Generally these plants have a notation as to their size in Orders to Hawaii, Puerto Rico and Canada add 20% to your total andthe plant description. Payment must accompany all orders and plants cannot be held without payment. You can pay with personal or business check,CHECKS MUST BE MADE OUT TO BOB SMOLEY....NO LONGER CAN WE ACCEPT ANY CHECKS MADE OUT TO GARDENWORLD, money order or credit card (Master Card, Visa, Discover or American Express) or PayPal (click on button above). Please give complete number with expiration date when ordering. Your credit card is charged at the time the order is accepted and your check or money order is cashed at the time the order is accepted. We try to send the orders out as quickly as possible but at times the wait can be up to 6-8 weeks, at times it could be even longer, especialy in the winter or some special plants that are grown to order. Many orders are sent within a few weeks such as those for unrooted cuttings. Please be aware of this. I would like to get orders out faster but since I personally choose each plant for every order I get backed up quickly. Most all my customers are aware of this and thankfully they are patient. Orders can be mailed to Bob Smoley's Gardenworld, 3720 SW 183rd Ter., Dunnellon, FL 34432. You can also fax your order 24 hours a day to 352-465-8254 or E-mail it to bobsmoleys@gmail.com At last you can call your order in to 352-465-4032 any time of the day or night but expect to get an answering machine at times. Calls will be returned as soon as possible. I ship year round but there might be some wait during cold weather for a warm spell to arrive. PLEASE BE PATIENT I ship only US Priority Mail that takes from 2-4 days. Most of the time orders are sent out within three weeks of receiving payment. In very busy times (spring and summer) it can take as long as 6-8 weeks for the plants to be shipped. I do most everything myself and get bogged down at times so please be patient. Most plants are shipped bare root with exception to some rare or expensive plants, they will be shipped in their pots. Plants over four-inch pot size are never shipped in their pots. Some other plants such as Sansevierias are not shipped in their pots. If you desire your plants to be sent in their pots I do offer this service at a cost of $1.00 per plant in addition to the usual shipping charges. You may visit my greenhouses at any time but you must call in advance. I am away from the greenhouses quite often and I would hate for anyone to make a long trip to the greenhouses only to be turned away to a closed door. We are located in west central Florida 90 miles from both Orlando and Tampa and just 18 miles due west of Ocala off of I75. After each of the plants listings, you will see a three letter code. This denotes the family the plant is a part of. Below is a list of these families for your reference.